I know, I usually post currently posts on Tuesday. But my Tuesday didn't quite go as I had expected haha. 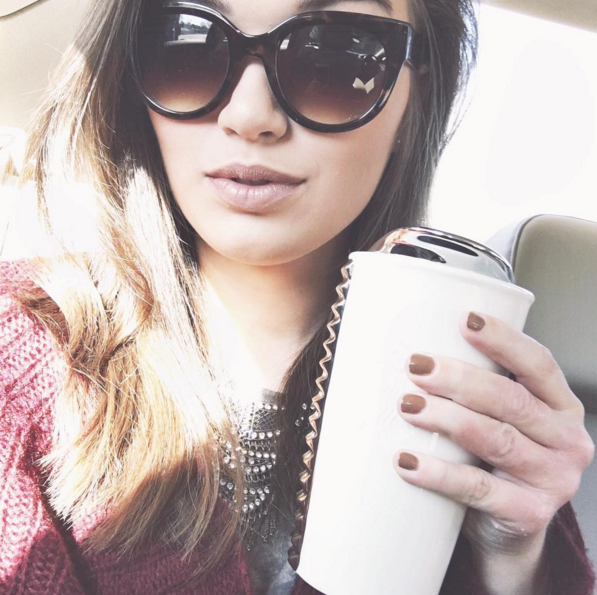 I had to run a bunch of errands, I wanted to get the oil changed in the car before it snowed today, and blogging just wasn't the number one thing on my mind yesterday! So y'all are getting a currently post on a Wednesday! Switching it up this week! Reading: Not reading anything right now. I have a bunch of books that I need to read, but I just don't have the time to read right now! I used to read at night, but right now at night I've been drawing for some projects that I'm working on. Watching: I can't remember if I told y'all or not, but I finished Continuum. Not gonna post any spoilers, but it didn't end like I thought it would! Now I'm not sure what I want to watch haha. Any recommendations? Planning: Some new items for my Etsy shop! Loving: Iced coffee. All the iced coffee. And a car that I saw yesterday that I really wish I could buy. 😂 Oh and the Starbucks cup in the picture. I got it for Christmas a couple years ago and I love it! What are you currently up to? Share in the comments! Reading: You are the Placebo, about cases of people who healed themselves with only their minds! Watching: Noragami, the anime! haha. Also Drop Dead Diva and West World! Thinking About: Too faced, of course! Planning: My next blog post!